Wilna Alda Clyde Millwood, 91, of Plainview, died Monday, April 1, 2019, at her residence in Plainview. The daughter of George and Myrte (Green) Oglesby, she was born December 10, 1927, in Gilkey Township, AR. She was a Quality Control Agent with Morton's/ConAgra. 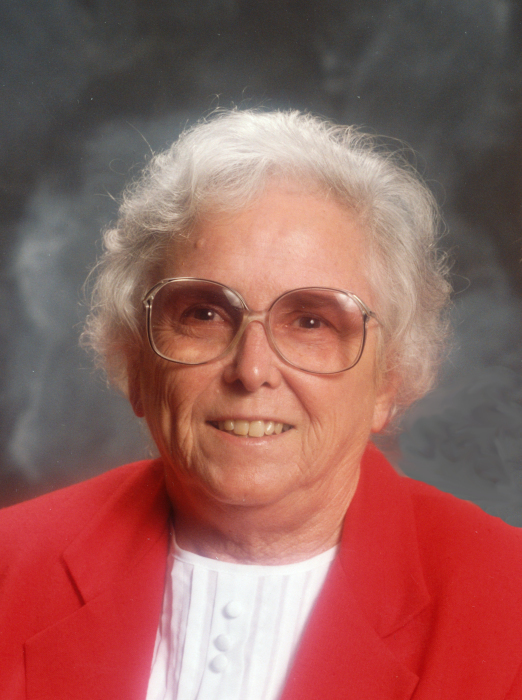 She was a member of the Plainview Free Will Baptist Church where she served as a deacon’s wife for over 60 years, and taught in the Bible Study ministry. For over 35 years, she participated with her husband and daughter, Joyce, in singing school conventions throughout the state. She enjoyed quilting, cross stitch and growing her flower garden. Most especially, she enjoyed spending time, building traditions and making memories with her grandchildren, great grandchildren and family. Wilna was preceded in death by her husband of 65 years, Loyd Eugene Millwood; her parents, a daughter, Joyce Pevey; four brothers; and three sisters. She is survived by her son, Larry Millwood (Kelly) of Pottsville; a son-in-law, Thomas “Ab” Pevey of Monticello; three grandsons, Michael Millwood (Janet “Murt”) of Russellville; Matthew Millwood of Mt. George; and Ryne Millwood (Jessyca) of Dover; a granddaughter, Whitney Davis (James) of Hot Springs; two step-grandchildren, Thomas Pevey, Jr. (Rosemary) of Pine Bluff; and Sonia Potter or Monticellow; eleven great grandchildren, Kristen Gay (Logan), Payton Millwood, Magan Conrad (Richard), Jacob Millwood (Gabrielle), Gala Millwood, Riley Poole, Kaegan Jones, Jett Jones, Coy Millwood, Wyatt Davis and Perry Millwood; four step-great grandchildren, Dean Stanley, Robert Bruce Lea, Jr., Justin Lea and Sarah Pevey; three great-great grandchildren, Ryder Gay, Drake Conrad and Harper Gay; and many other relatives. Funeral Service will be held at 2:00PM, Thursday, April 4, 2019, at Plainview Free Will Baptist Church,113 North Broadway, Plainview, AR 72857. Rev. Ronnie Garrett and Rev. Bruce Bland will officiate. Burial will be at Salem Cemetery in Plainview, by Humphrey Funeral Service. Visitation will be 1:00 to 2:00 pm, on Thursday, at the church. Memorials may be made to Plainview Free Will Baptist Church. Internet obituary and on-line guest book are available at www.humphreyfuneral.com.